In this post you will get to know how to mine bitcoin gold with gpu.Bitcoin Gold is a new fork from bitcoin blockchain which tends to make mining decentralized again.Check this post to know more about bitcoin gold, should you invest in it or not? We all know bitcoin is lagging behind from altcoins in terms of transaction speed, transaction cost and privacy.So to improve these aspects immediate changes were required in bitcoin otherwise altcoin would have surpassed bitcoin in the near future. As a result of this we saw the first bitcoin hardfork, bitcoin cash on 21 July 2017. Bitcoin cash increased the bitcoin blocksize to 8 MB from the earlier 1 MB. Now a second bitcoin fork took place on 24th October 2017 giving birth to a new coin named bitcoin gold. Bitcoin mining has become centralised as China owns maximum bitcoin network hashing power and bitcoin is mined using very costly ASICs. 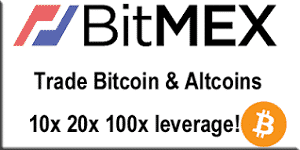 Bitmain is the only company which makes the most profitable Bitcoin Mining Hardware and maximum miners use miners provided by bitmain. So its bad for a decentralised cryptocurrency to have centralised mining.Thus to counter this situation Bitcoin Gold has been introduced so as to make mining decentralised again such that anyone in the world having a GPU can start mining BTG, Bitcoin Gold. Bitcoin Gold will change the Bitcoin mining POW(proof of work algorithm) from SHA256 to Equihash. Equihash algo is an asic resistant algorithm thus solving any problems in future related to centralised mining. BGold mining difficulty will be adjusted with every block. Bgold have devlopers blocks premined. Those premined coins will be used by the team for further development of BTG. See road map for more info. Update : BTG Mining is started but too much drama firstly developer premined BTG then chain split. BTW I am mining it right now. 6. Add following to the bat file and replace it accordingly. See images below for help. 7. 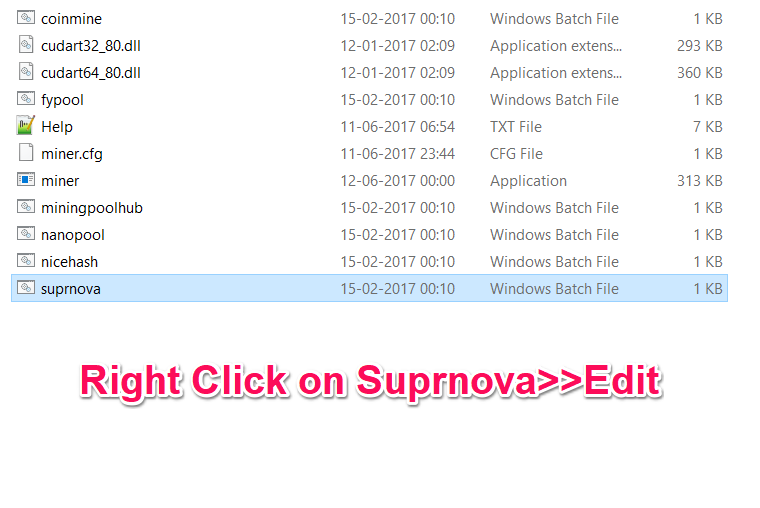 Thats it, run suprnova.bat and mining will start instantly. Many of the popular pools will support bgold mining. BTCGpu.org homepage will guide you about the pools which will provide btg mining. I think once the BTG mining starts everyone having gpu’s will be mining it. Gpu mining farms may decrease mining profitability for small miners. Bitcoin gold will use equihash algorithm for POW and equihash is not minable by asics.Nvidia GTX 1060, GTX 1070, GTX 1080 Ti all are good for mininig equihash algo. Check here to know best gpu for BTG Mining : Equihash algo. As compared to amd cards, nvidia cards are much better for mining equihash algo. AMD card owners can still mine Bitcoin Gold but AMD is not optimized for equihash algo so you will be earning less.So its good news for nvidia card owners. No one knows what will be the price of BTG in near future, so don’t miss the opportunity of mining it early when difficulty will be low. It will start on 1 November 2017.Will add reliable pool at that time. Pool mining is profitable for small miners. If you have a GPU mining farm then you can currently mine BTG on testnet, more info here. But you won’t be rewarded for mining on testnet, you’ll just help in the development. Mainnet will be launched on 1 November 2017. BTG CPU mining is possible but it is not profitable as graphics card will provide you much higher hashrate. Most profitable with Nvidia cards. Can’t say anything right now about profitability. Don’t know if any cloud mining service will be available in near future for mining bitcoin gold. BTG will use equihash algo and we will be using ccminer for nvidia cards and sgminer for amd cards. May be new fork of these miner will be availabe in future which is designed specifically for mining bitcoin gold. The links for the best mining softwares will be updated once the bgold mining starts. 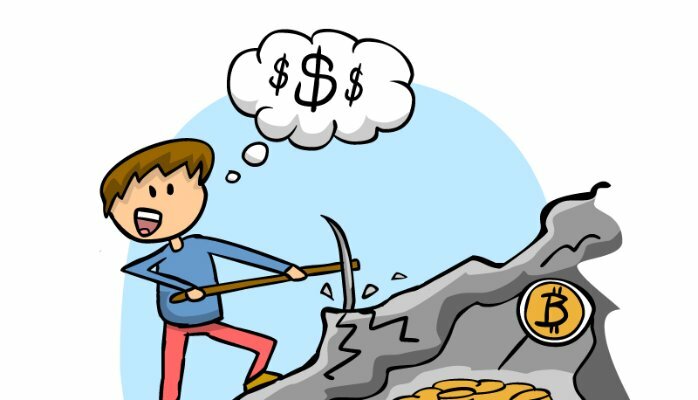 Hope you liked this article about bitcoin gold mining and if you did then please give it a social media share. I can’t download the NVIDEA card miner because it is flagged as a virus? maximum miners flagged as virus. Mining is not started yet, will update the miner links once mining starts.